Obsess Much? Is a new feature I’m going to start here on Thinking in Fragments, in an attempt to have an outlet to talk about stuff that I love and want to gush/obsess about. My friends have all already heard me say so much about this stuff, so now it’s time to do the next best thing: talk about it on the internet! This week’s Obsess Much? topic is podcasts! I adore podcasts, and listen to them all the time…when studying (whoops), cleaning, driving, while getting ready in the morning…pretty much all the time. I currently have ten podcasts on my podcast app, but here are my top six FAVORITE podcasts! Okay, I have to say that Welcome to Night Vale wasn’t the first podcast I ever listened to, but it was the podcast that got me regularly listening to podcasts. This podcast isn’t for everyone. It is very bizarre, but has an amazing script. Cecil’s voice is like honey, and the plot is just phenomenal. 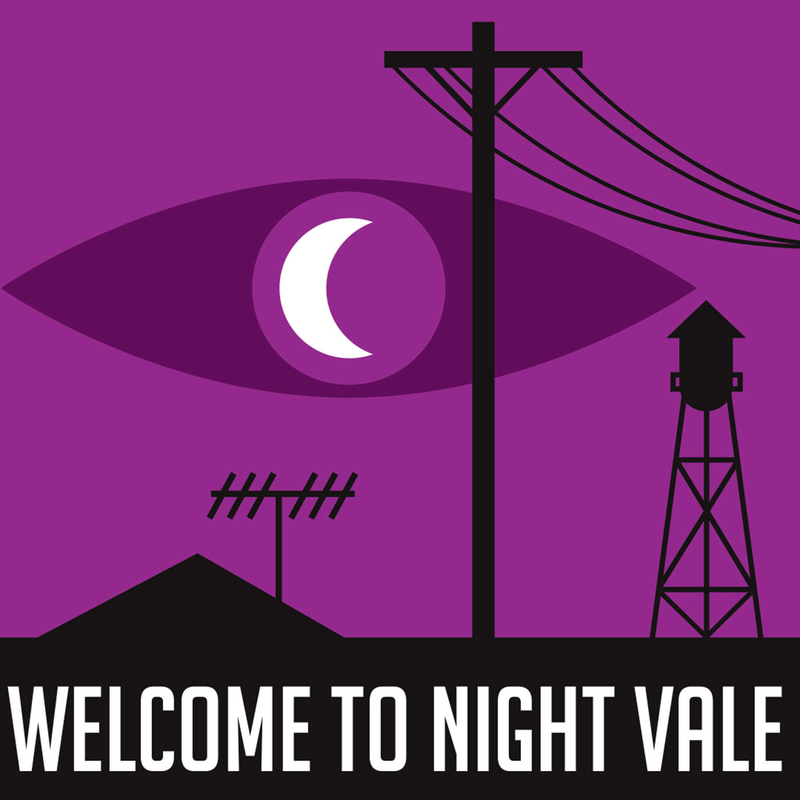 It can be eerie and creepy, but at the same time, you’re completely invested in these strange characters and what’s going on in Night Vale. Honestly, the strangeness is just a part of my nerdy life now. It has accumulated a cult following, and the cast has been all over the US and Europe performing live shows. (I’m going to my second one in April!) I do understand that this podcast isn’t for everyone, but if it’s for you…turn on your radio and hide. New episodes every 1st and 15th of the month. Like most people who’ve listened to this…I’m completely obsessed. I have no idea where I stand on the story from the first season, the Adnan Syed case, but Sarah Koenig’s investigation was completely fantastic. It raised a lot of questions that are actually having an effect in the world. I won’t spoil it (even though there isn’t that much to spoil), but you should listen to the first season of this podcast. I actually subscribe to two other podcasts that talk about Serial, if you need any more of an indication of how much I like this podcast. Go listen to it. It’s completely worth spending (at least) 12 hours of your life on. Season One complete. Currently on Hiatus. Alie and Georgia are so hilarious. I want to put on my pjs and hang out in the pillow fort/tepee with them. These two are just completely hilarious, and have some equally hilarious guests in the fort. No topic is off limits with these two best friends (literally no topic is inappropriate for this podcast, if you need proof, listen to the episode with Megan Ganz). I want to play their final game and tell ghost stories with them. They remind me of my friends and me, and I just want to hang out with Alie and Georgia. New episodes every two weeks or so. Alie and Georgia are very busy people. You know who Grace Helbig is. I know you do. She’s on YouTube, she has a book, she’s getting a show on E!. You know who Grace Helbig is. And Grace Helbig doesn’t do deep conversations or emotions. So on this podcast, Grace and guests talk about the completely ridiculous, and nothing deep. So if you’re looking for insightful, please continue on. If you’re looking for hilarious people talking about absolutely random things, you’re in the right place. I want to adopt Grace Helbig as my older sister. Can Grace be my older sister? Is that allowed? Eighteen episodes produced last year, more to be released soon. I love BookRiot. It’s a fantastic source of news and entertainment for anyone who loves books (me), and this podcast is a staple for every book lover. Seriously though, Jeff and Rebecca are exactly the right amount of obsessed with books and the world of book publishing, book media, ect. I have learned as much from this podcast as I have enjoyed listening to it. (Which is a lot. I love this podcast.) If you like books…this podcast is SO important. It reminds me of all the amazing reasons why I love being a part of the book community. The Memory Palace is fantastic. Okay, it’s like a bag full of unique, cute little short stories about things you probably never heard about. I have a love affair with short podcasts, and this makes me so happy, as the episodes are usually less than ten minutes. You’ll never hear stories like these anywhere else, and they’re always so fun and great to hear. People, places, ideas, and phenomena from history are all covered on this fantastic podcast. New episodes released every month or so. Nate DiMeo doesn’t get paid for this, so be patient. This show is worth it, I promise. I hope y’all have found some awesome new podcasts to listen to! And if y’all have any favorite podcasts, I’d love to have some more podcasts to fill up my listening during the week!